I finally got around to make some Kale Chips. I had bookmarked the recipe from The Food Librarian a couple of months back. 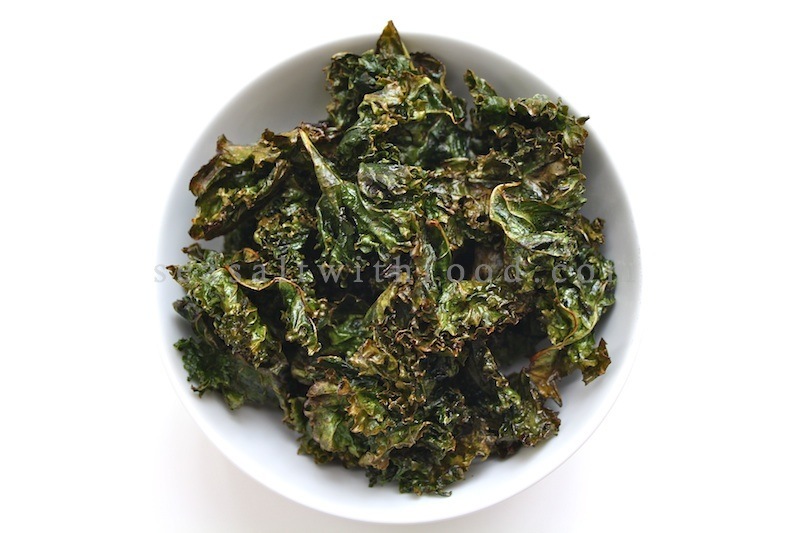 It drew my interest as kale chips are super healthy, chocked full of antioxidants, and they taste great too. 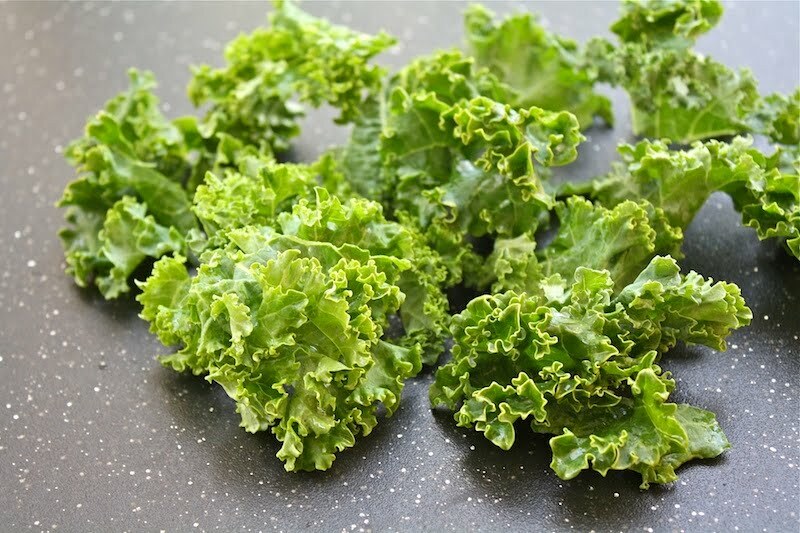 This is an easy recipe, after washing and drying the kale, simply toss them with some lemon juice, olive oil, and then season lightly with sea salt. 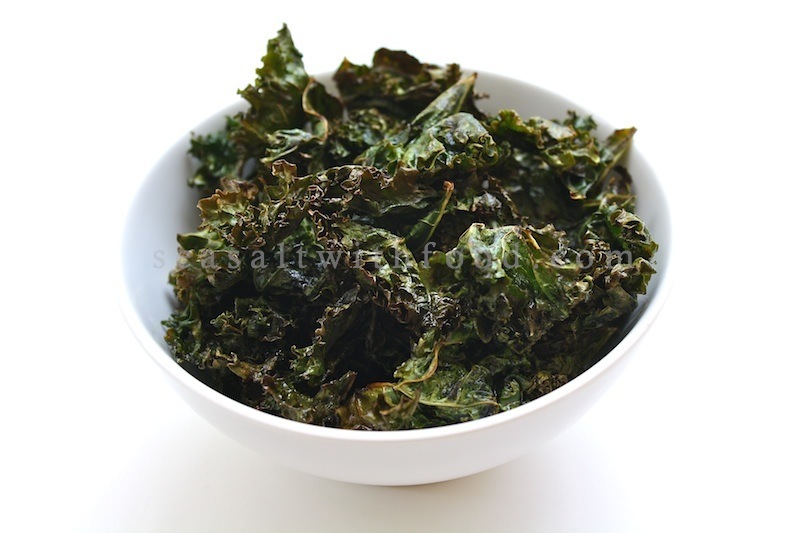 Pop the kale in the oven for 15 minutes and there you go, a bowl of lemony kale chips! Enjoy. Whisk together the olive oil, lemon juice, and season lightly with sea salt. Toss in the dry kale and coat them evenly. Arrange the kale in a single layer of the baking tray. Angie, try blending this into powder and tossed into your buttered popcorn. Amazingly healthy seasoning!!!! @ICook4Fun: Gert, "Paku" masak lemak is one of my favorite dish. I must try to make them with kale and thanks for the great idea. Oh yes please! These look fabulous! hello! if you cook them at 130ºC you might find that the edges won't have a habit of going brown :) you can even do it at 70ºC for a few hours to keep them REALLY green! I have been literally obsessed with kale chips this spring, since I find kale almost too bitter to eat prepared any other way. It's amazing how such a simple preparation can lead to such an interesting - and addictive - flavor.